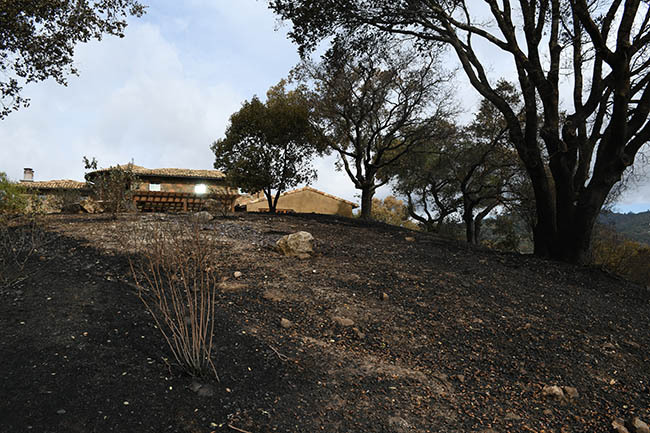 The house, the cabana, swimming pool, the barn, the outbuildings (garage/workshop, tractor garage, hay shed, winery equipment storage buildings), water treatment plant, wine cave, and both backup generators seem to be unburned, unscorched and not even smoke damaged. The vineyards had some scorching on the ground, but all the vines seem fine. 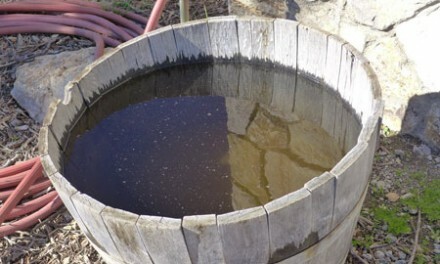 We’d already harvested and our wines are fermenting in a safe location. So the 2017 harvest is unaffected. 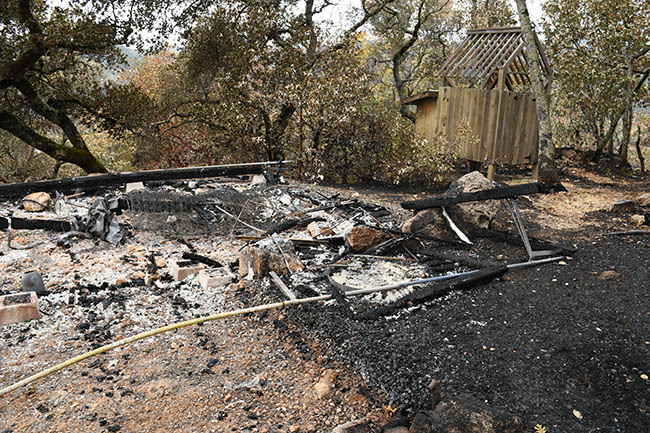 A tent cabin/guest house with outhouse burned to the ground. Some raised beds in my garden, my garden shed and my small greenhouse burned significantly. Several fencing systems are compromised. 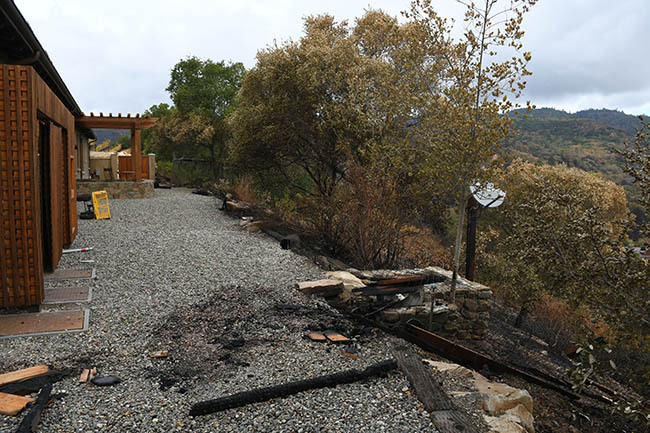 Posts were incinerated in sections of the outside perimeter fence, the vineyard fencing, and the dog fencing around the house. The perimeter fence is of the most concern, but we don’t need to be worried about interior deer fencing around the vineyard until the vines leave dormancy in the early spring. 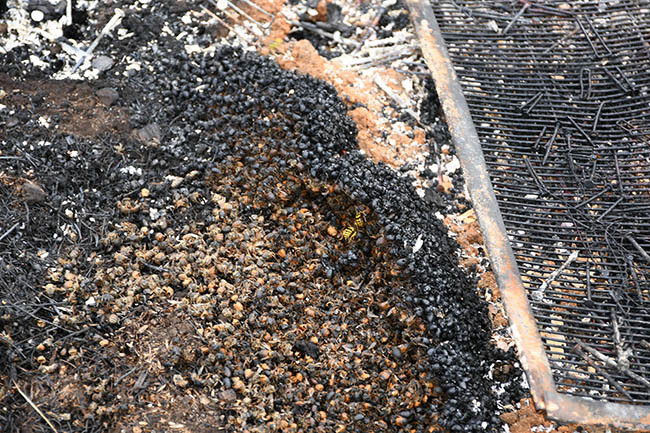 A grape receiving platform on our winemaking crushpad burned to a cinder. Some of our irrigation tubing in our vineyard seems to have melted. Some of the stub ups and junction boxes for our water systems, electrical systems, etc. were scorched. We’ll need to carefully test every system to make sure there are no wires that could arc or systems that will fail. So, in other words, we got off easy. Much of the land will recover with Ranch Manager Louis’s tender loving care, a lot of reseeding, and massive amounts of rice straw and coir mat. 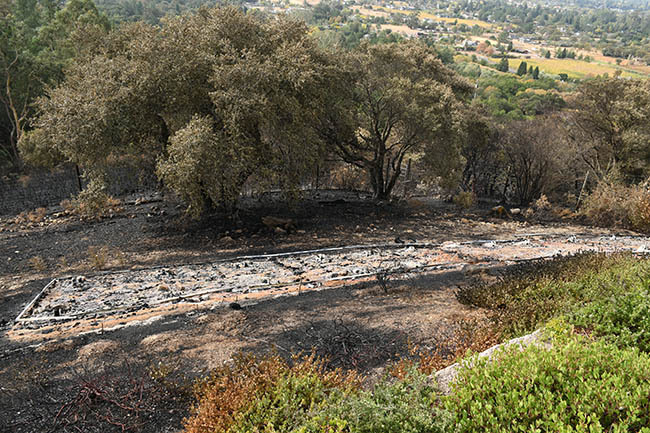 Standing three feet from the house, Louis shows how the fire burned up our hill, from over the ridge, and over the next ridge and over the ridge after that. We had hardscaped all around the house with a three foot barrier of decorative gravel. We are crediting that with creating an effective no-burn zone. Below the house, the solar array didn’t fare so well. Luckily it wasn’t expensive solar panels. Just a black plastic array that heated water for the pool. Also not so lucky: our little tent cabin and outhouse in the woods. Surprisingly, the outdoor shower survived. One of the scariest things about a fire is that it ain’t over even when they say it’s over. 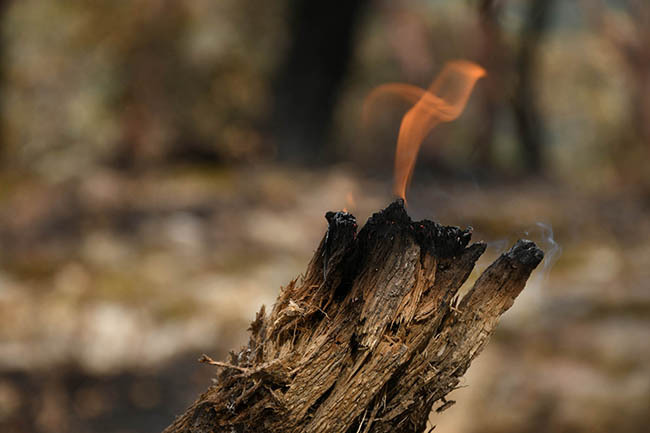 Louis and I spent most of Saturday hiking around the property looking for smoldering trees and underground roots that were on fire and waiting to reignite. Here’s one root we saw smoking underground which burst into flame when we uncovered it. Luckily a mop-up fire crew showed up to help us. Which was great because Louis and I were just about at our limit. 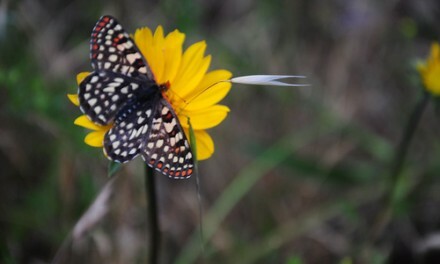 There were encouraging signs that wildlife is still around. 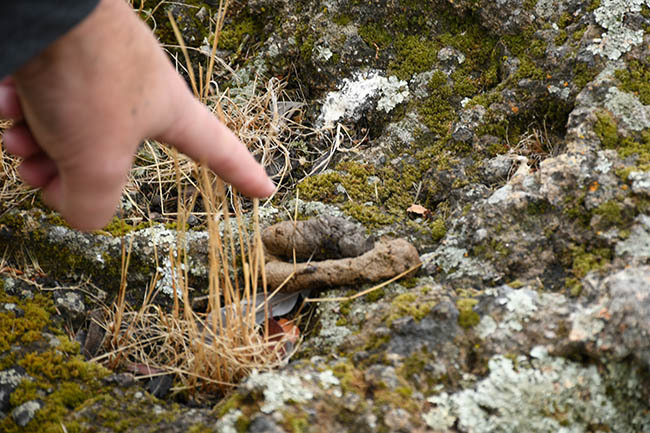 This is Mountain Lion poo that we found on the cliff called Indian Leap. So Miss Kitty found a safe place to watch the fire. 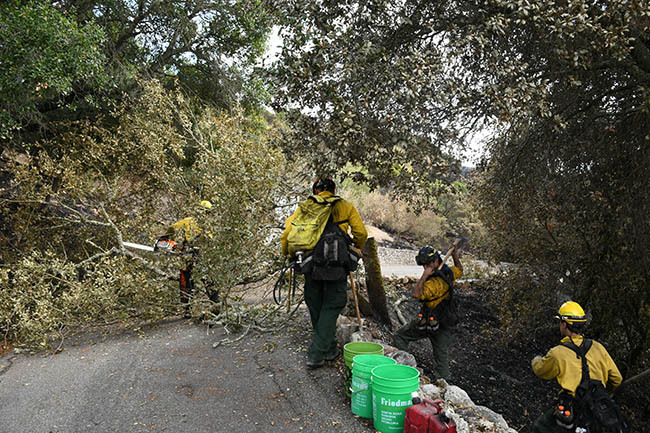 For much of the firestorm, crews were staging in our pasture and finally bulldozed it for a firebreak. So Louis will have a lot of work reseeding and putting erosion control measures in. Perhaps the most heartbreaking loss at the Rancho were the hives of Hector of Hector’s Bees. 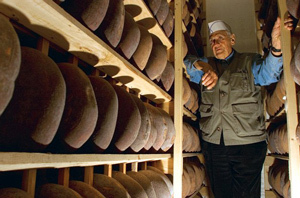 Hector is a legendary beekeeper in Sonoma and an American success story. Arriving here as a young man with nothing but two generations of beekeeping knowledge, he built up a business that supported and employed most of his family. Hector stuck to the old ways. His bees only fed on organic flowers and crops, and were never supplemented with sugar water to goose up honey yield. His daughter told me he cared for his bees like his children, understanding which were aggressive, which ones needed a light touch and which ones were friendly. 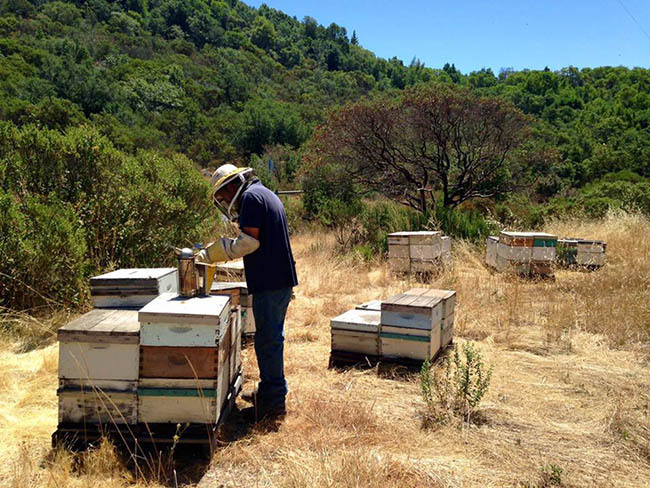 The last several years of drought had been hard, honey yield was way down. But Hector had nearly 100 of his hives in our pasture, feeding on our lavender fields and sipping out of our little Lake Charles. Tragically, all of Hector’s hives burned to the ground. I found thousands of bee corpses and a few bewildered bees buzzing around them. Hector in happier days in our pasture. Note how little protective gear he wears. One local article called him “a gentle man who smells of honey”. His bees knew him and loved him. We are working with Hector to see how we can help re-establish his hives, but the loss is really incalculable. It’s not just getting new bees and hives, but it’s the loss of the production of one of his mature hives which could have been close to 50 lbs. of premium organic honey per season. And how do you replace with purchased bees the hives that he had nurtured through generations of gentle care? Hector is a proud man and he’s a little resistant to charity. But stay tuned. 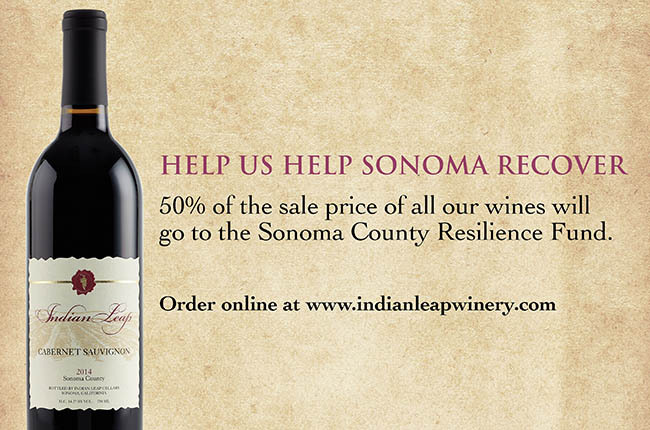 And don’t forget to buy our wine to help the Sonoma Resilience Fund. NextSave the Bees! Restore Hector’s Honey. Wow. Words fail, Lisa. This is truly a story of life on the edge. I’m so glad most of the Rancho made it through. Here’s hoping for a relatively gentle winter as you and everyone else in Sonoma and Napa recover. 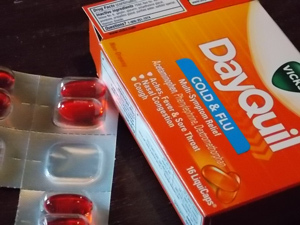 Revisiting this post after a few days. So much to take in. 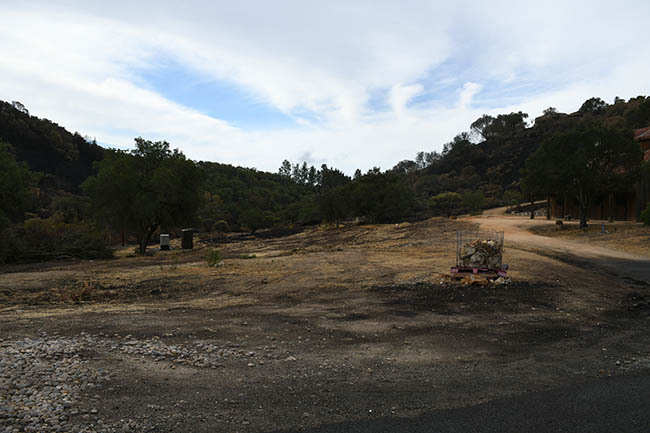 The three foot perimeter of gravel around the house – genius – and just one example of the hundreds of decisions made over time to prepare for long term presence in Sonoma. So much careful planning, including limiting the fire fuel as much as possible. 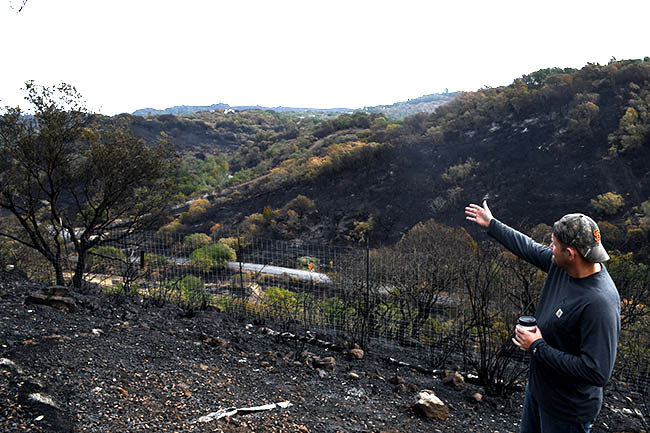 Thankful the fire crews were able to stage there for a time. Thankful for all that was saved, including the remarkable barn. The loss of the hives , horrible. While it was good for them it was pretty awesome. This is why Hector had them there. Yes, the water junctions and tanks will take a considerable amount of time to replace. There are silver linings and there is bone deep loss. And please be kind to yourself. This is all major trauma. The devastation of Santa Rosa included. Thank you for sharing this first hand account of your home’s story. Looking forward to the recovery and many decades of Mother Nature sparing your spot in the future. I’m not sure Kentucky allows wine to be shipped in from out of state.. They had to change a law. I used to work with a man who lived in Northern Kentucky and shipped wine to a friend across the river in Ohio. Will be checking out your site. So glad everyone is ok, but sorry about the bees. We had a fire here a few years back and were out of our home for a while. Some of my neighbors lost everything. It was one of the scariest things i’ve ever experienced.